It's a big world out there, and it's yours to explore! 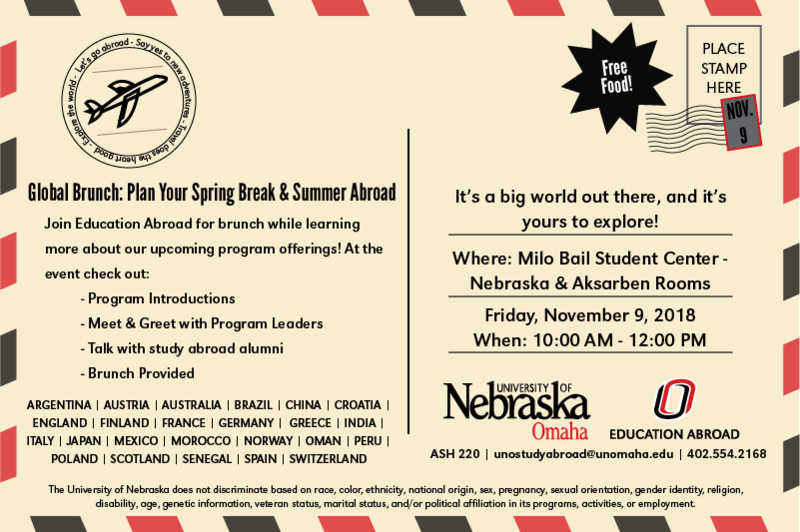 Join Education Abroad for brunch while learning more about our program offerings! Faculty leaders will be giving short 5-minute program overviews along with a poster session meet and greet. This will be the perfect time to learn more about global courses, ask any questions you may have, and find your best-fit opportunity. 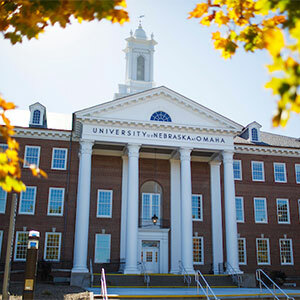 Faculty-led programs are designed and led by UNO faculty members. Professors create a special curriculum and itinerary that allows students to engage with course material through international travel. These programs are shorter-term experiences that occur over spring break, May or in the summer. They are great way to mix hands-on learning, cultural encounters, and fun in a group setting. During the brunch, you’ll hear directly from faculty leaders during short introductions designed to give students more information about their upcoming programs, including the benefits of participation in a global course, day-to-day itineraries, and next steps. Not sure if a faculty-led program is right for you? We will also have information available about our summer exchange options at the brunch, as well as 2019’s Nene Field Ambassador Scholarship. Leaning more towards a full semester? You can still stop by to get information about our exchange program offerings for the Fall 2019, Spring 2020 and Academic Year 2019-2020. Stop by our office in Arts & Sciences 220; give us a call at 402.554.3168, or send us an email at unostudyabroad@unomaha.edu for more information about all of our study abroad programs.